It's nearly impossible to find an industry that hasn't adopted new forms of technology over the last few decades. However, the construction sector, which is one of the most important industries across the globe, hasn't exactly welcomed various forms new tech and innovations -- until now. "When you make a car or airplane, you have a lot of repetition in that work," said Michael C. Brown, executive vice president and general manager at Skanska. "The automation you implement can be a bit more simple because the task is retentive. Technology needs to be more sophisticated because (most) construction tasks aren't repetitive." From homeowners performing DIY remodeling tasks to major construction firms redesigning infrastructures, technology is being implemented more and more -- especially when it comes to protection. In the past, there wasn't much floor protection during construction jobs. 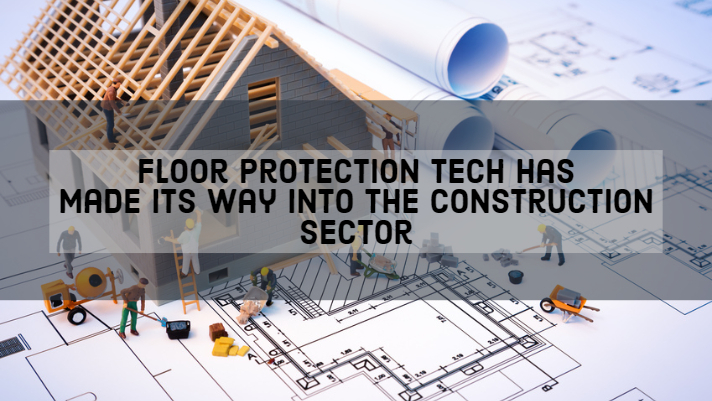 But since occupational lung disease is the number one cause of job-related illnesses in the U.S., and there is a stronger emphasis being placed on maintaining surfaces both during and after tasks, temporary floor covering technology has found its place in the construction sector. Ram Board offers quality floor and surface protection laborious construction tasks, from small residential remodels to major commercial building construction jobs. The Spill Guard technology found within Ram Board's temporary floor covering products not only protects from invasive hammering, drilling, and tearing, but keeps flooring protected against paint, water, much, and so much more. Don't let your floors succumb to irreversible damages because you aren't welcoming new tech into your construction projects. This floor protection technology can help preserve all types of commercial and residential flooring surfaces, including: concrete, linoleum, hardwood, terrazo, VCT, laminate, marble, and many more. Though floor covering tech isn't exactly revolutionizing the construction sector, it's at least showing that the industry can, in fact, adapt to the changing times. As the years go by, there will likely be all sorts of new innovations breaking into the construction sector, from AI to data analysis. If you want to learn more about how essential temporary floor covering is for construction tasks, give Ram Board a call right away.